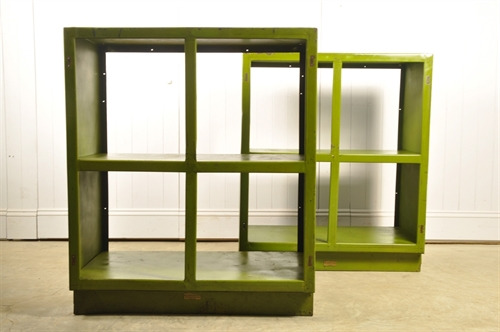 Pair of Vintage Industrial Shelving Units - Original House – Decorative Antiques, Vintage Industrial Furniture and Lighting, Cotswolds. 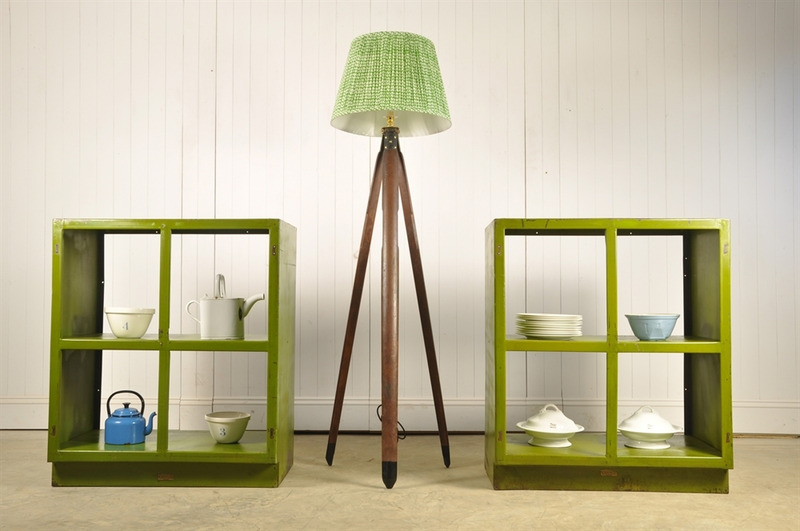 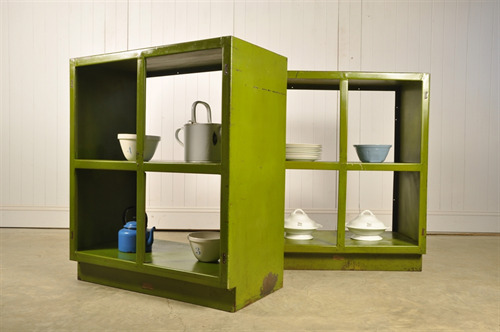 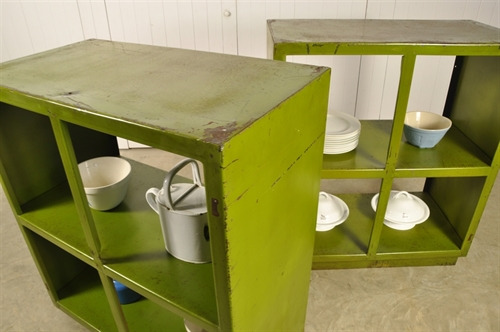 We love this vintage industrial storage. 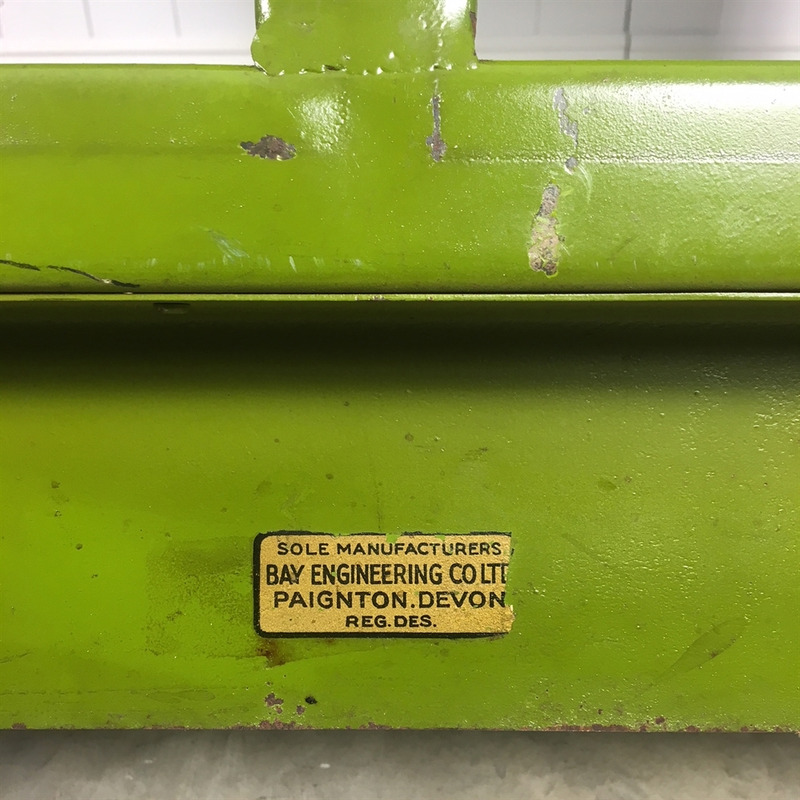 Produced in the 1950's by 'Bay Engineering' in Devon. 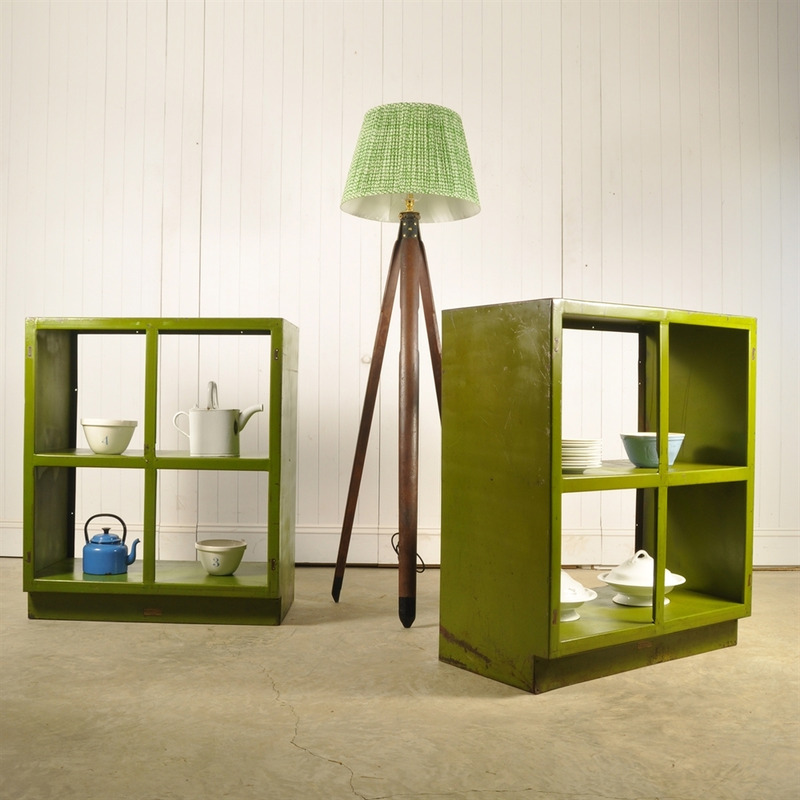 The green finish is actually an enamel rather than paint. 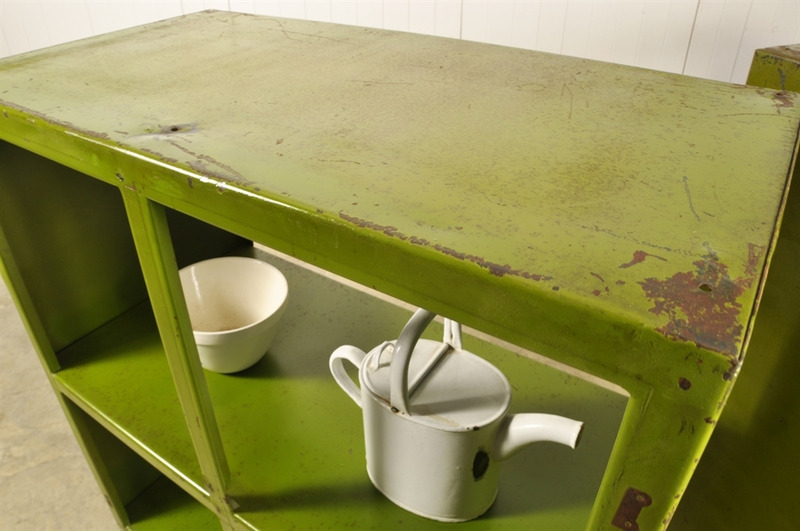 These have masses of patina with lots of bumps and scrapes and discolouring on the steel and enamel. We have sprayed these with a clear lacquer to fix the patina. 102 cm h x 86.5 w x 46 d.